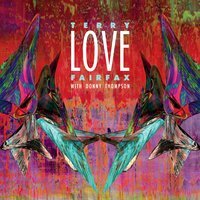 Terry Fairfax began playing piano at age 4, and gave his first public performances not long after that, playing piano and singing at school and church, in recitals and concerts. From 1982 through 1997, he performed live, wrote, arranged and recorded music throughout the United States, sharing the stage and studio with a broad range of artists, including 70s dance hit masters LaFlavour, the world’s best Beatles tribute 1964, The Tribute, The Phil Palumbo Orchestra, Jonah Koslen and Breathless, Donnie Iris and the Cruisers producer/composer Mark Avsec, smooth jazz artists Hemisphere, Sonny Geraci (the Outsiders and Klimaxx), John Bowman (Sha Na Na’s “Bowser”), stage and screen star Carol Lawrence, Cleveland classic rockers My Old School, and many others. He also served as Music Director for the Cleveland Indians at Jacobs Field for the 1994 through 2001 baseball seasons. 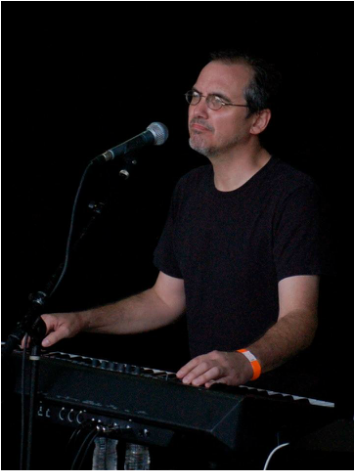 After earning Bachelor of Arts degrees in both Music and Philosophy from the University of Akron, Ohio, he completed his law studies at the University of Akron School of Law and took a few years off from playing music to pursue other interests. Terry is back in the Cleveland area and performing music live, and has recently completed his first solo recording, LOVE, produced and engineered by Donny Thompson and featuring some of Northeast Ohio's finest musical talent, including Jonah Koslen, Mark Avsec, Giovanni Mastro, Cy Sulak, Paul Wolf Christensen, Roger Hatfield, Billy Sullivan, Rich Spina, Bill March, Alan Greene, Tom Work, Rodney Psyka, Rik Williger, Van Eidom and more . His solo shows feature his own music and music of classic singer/songwriters including The Beatles, Stevie Wonder, Billy Joel, Elton John, Todd Rundgren, James Taylor, and classics from The Great American Songbook. For more information on his duo, trio and band shows, click here.